If you know you need a website that works but don't want to spend hours researching the details, our all in one web design package could be the answer. Taking the best of our 10 years experience in professional web design, we've created a website package that will make you stand out from the crowd. We'll make sure everything works, is fully optimised to help your business generate better results and we promise that it will look great too. We've helped lots of clients transform their web design so why not let us do the same for you? 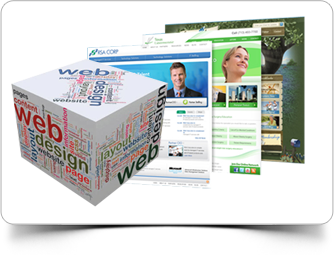 Some web design agencies rely on templates to create their website packages. We don't. We know that just because you want a fast, reliable service at an affordable price, you don't want a website that looks like a hundred others. Each website that we create is unique. Created for you, with only your needs in mind. So we won't just build you a website that looks fantastic, we'll help make sure you get noticed too. Your business will grow and change and your website content will need to change with it. That's why we offer to update the text on your website entirely for FREE. Simply send us new text and images and we'll update the web design within 48 hours. Not all website design is created equal. Some web design services might look very pretty but if the code in the background is poor it's impossible to achieve great results. You need to be found by Google and noticed by customers so we'll use code that's proven to index your site faster and work well with a variety of browsers. We realise that for most clients, a new web design is just the beginning of making payments online or launching an e-commerce website. We build our client relationships to last so each website package includes a support session to help resolve any queries and after that we'll be available to chat, on the end of the phone or face to face. If you need further support we'll arrange that too, always letting you know if extra charges apply. We know that you want to have results at your fingertips that shows exactly how your website's performing, so we'll send you a detailed progress report, weekly or monthly, with tips on how to improve.